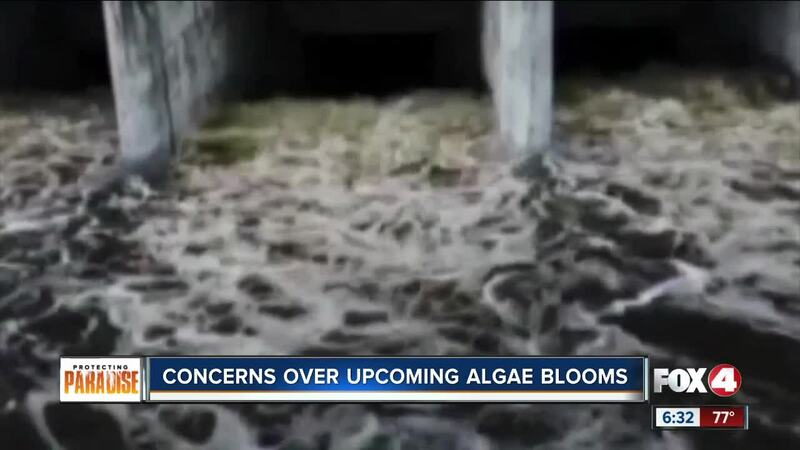 ALVA, Fla -- We all remember how bad the blue-green algae was throughout Southwest Florida last year, impacting so many things across the area. President Trump is set to make a trip to Lake Okeechobee on Friday to check things out for himself, and to analyze how the U.S. Army Corps of Engineers is planning to decrease the number of algae into freshwater waterways. It’s not what we want to hear, but the Corps says a bloom is coming. It's something that generally happens every year, but it’s too early to say how much algae will be present. The Corps is working to stop large algae blooms from happening by doing something different this year: lowering the water levels in Lake Okeechobee from where it currently stands at 11.9 feet to 11 feet. A spokesperson says they hope the vegetation that was lost can help flush out the toxin. “The vegetation is helpful in clearing the lake so that’s one reason that we’re trying to bring the lake levels down,” said Erica Skotle, the Army Corps of Engineers Public Affairs Specialist. John Cassani, with the Calusa Waterkeepers, says the Corps of Engineers idea to lower the lake level is a good one, but Cassani feels it has its drawbacks. He explains if they lower the water too much, it might threaten the water supply for our consumption. But that's only one potential issue, although it’s not clear how bad the algae will be if you ask Cassani, he says it’s not looking good. “We’re seeing some toxin levels that are kind of concerning,” Cassani said. Cassani said he and his team have been testing the Caloosahatchee River and have seen multiple mini blooms already. “It’s just not looking good for this upcoming summer,” Cassani said.